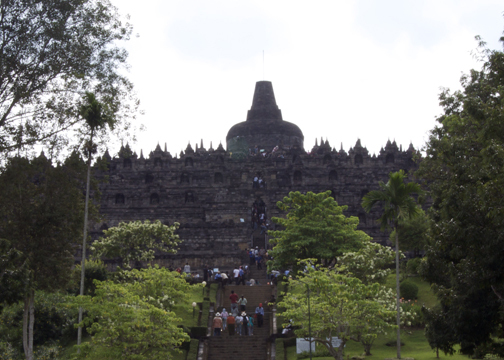 Borobudur is a Buddhist temple (or candi) from the 9th century. Absolutely impressive & beautiful, many people seem to think it is one of the 7 Wonder of the World, but is not & never has been. 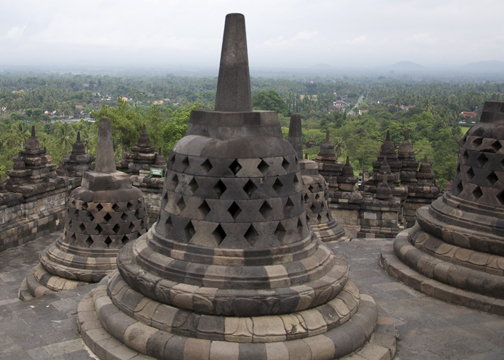 The stupas on the top level all have buddhas in them (one has been left exposed over the years) & it is good luck to reach in & touch them. It was pretty interesting that you’re in this ridiculously amazing place, but as one of the very few Westerners there, I could barely walk a few steps without having local tourists requesting to have their photo taken with me. It was utterly bizarre. 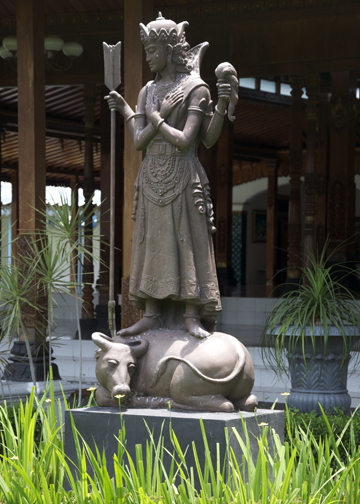 Yogyakarta was particularly interesting – very colorful, lots to see & filled with incredibly & very genuinely friendly people. The time spent there was extremely enjoyable & hope its not too long before I get to return! 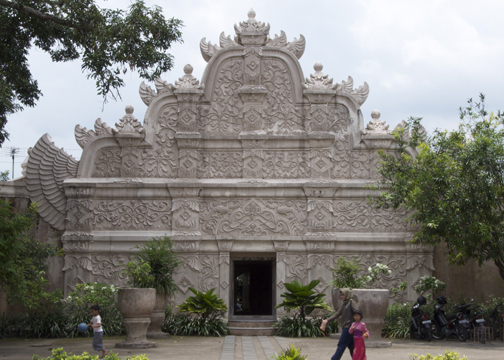 Yogya was also filled with lots of well-done, creative graffiti. 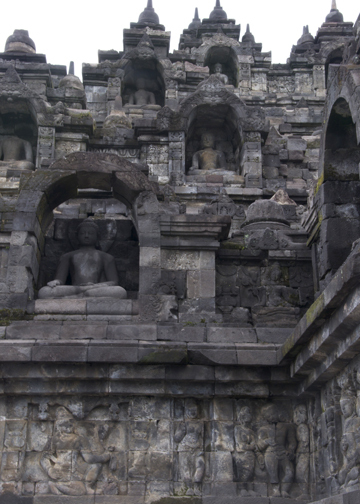 Candi Prambanan was my favorite temple site. 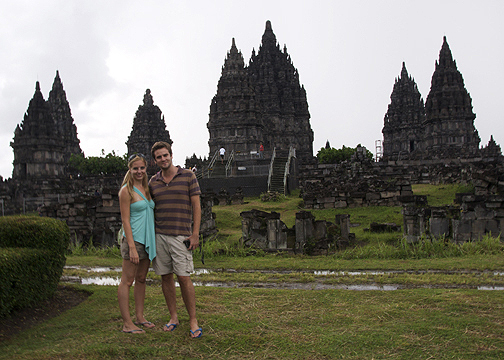 Prambanan is a Hindu site & the largest/central temple is dedicated to Shiva. Its absolutely stunning any way you look at it. 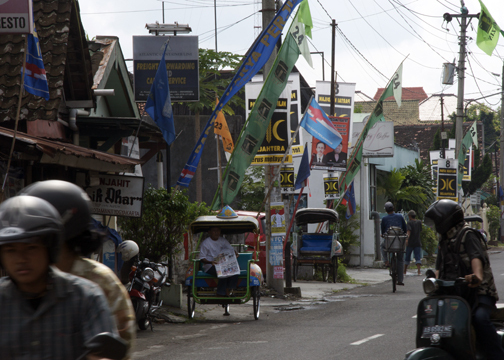 When its clear enough, you can see Mt Bromo (an active volcano) which I later visited, in the distance. 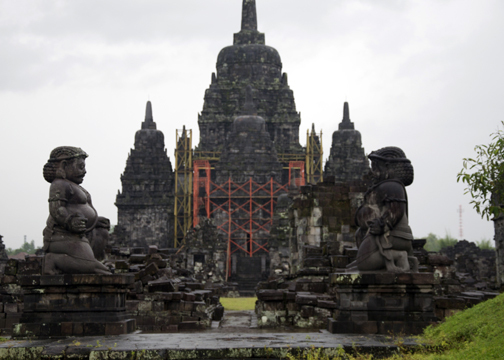 Prambanan (& the surrounding sites) have been twice demolished by earthquakes. 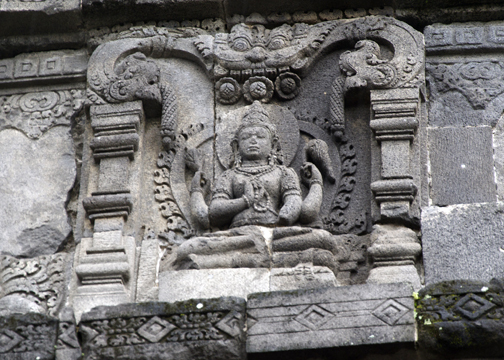 First, when it was discovered in the 1500’s it was in ruins due to a massive earthquake, and then again the 2004 earthquake which savaged Indonesia & south Asia brought quite a bit of it down again. 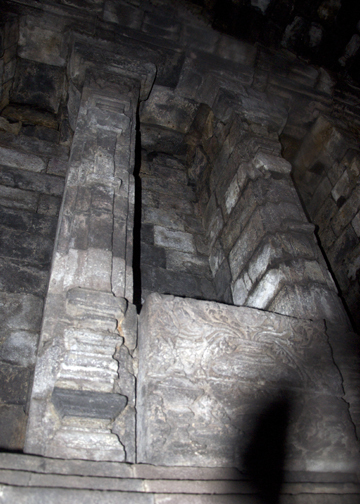 It is still being fixed from the ’04 earthquake. 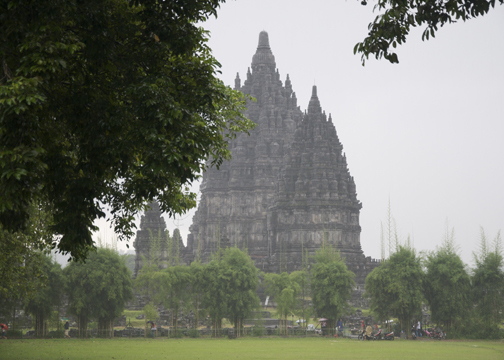 A short (walking) distance from the Prambanan site are a few smaller Buddhist temple sites. 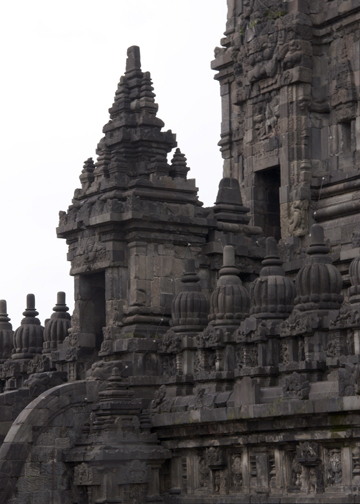 Most are still in ruins & have yet to be put back together, but candi Sewu had a nice portion refurbished. As it was still in the works, the site was closed off – however, as we were walking around the perimeter a local who was working on refurbishing the site brought us in & gave us a personal tour. 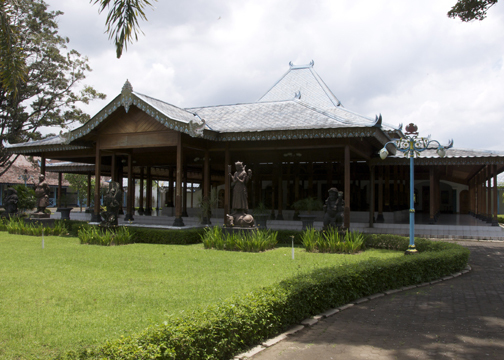 He even took us into the main temple! He himself was Buddhist and when he brought us in & eventually got to the prayer area of the temple he did a Buddhist prayer wishing us the best in life. 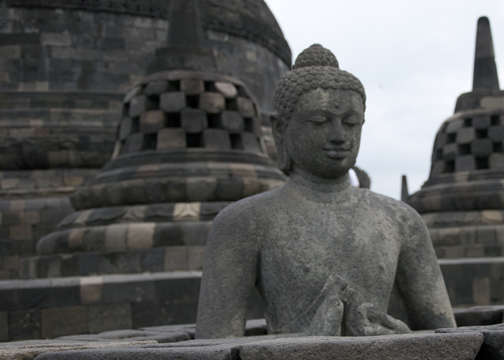 People in & around the Yogyakarta area were just seriously some of the most genuinely amazing & freindly & generous people I have ever had the pleasure of meeting in my life.